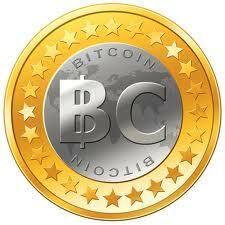 To purchase a room with Bitcoin – just email info@pedroshotel.com to check availability! Then, when agreed upon Pedro’s Hotel will send you a Bitcoin invoice to complete the transaction. Pay for your stay with bitcoin! On March 23rd 2016, Pedro’s Hotel in San Pedro, Belize started accepting Bitcoin as a form of payment at their Hotel, Bar and Pizzeria. They became the first hotel in Central America and one of only 4 hotels in the world to allow guests to pay for their stay with Bitcoin. You can now use Bitcoin as a payment method to book any of our rooms at Pedro’s Hotel. You can also use Bitcoin to pay for food and drinks at the bar by pre-purchasing bar credit in the hotel office. To check availability, make a reservation or learn more about paying for rooms with Bitcoin, email info@pedroshotel.com or call 1-800-213-8347(US) or +501-226-3825 (Belize).